1. Kings Comprehensive Schools, at no.190 Agbani road, Enugu. 2. Queens Comprehensive Schools, at Idaw-river, Enugu. 3. John Igwesi Memorial Grammer Schools (JIMGRAMS), Emene, Enugu. 4. Fountain Comprehensive College, Ichida Street, Housing Estate, Trans-Ekulu, Enugu. 5. Community Secondary School, Okpu Orba, Enugu State. 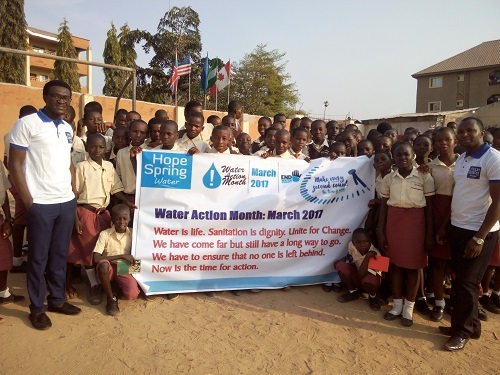 The gamut of the programme started with the introduction of facilitators (volunteers), and Hope Spring Water as an international NGO focused on WASH. 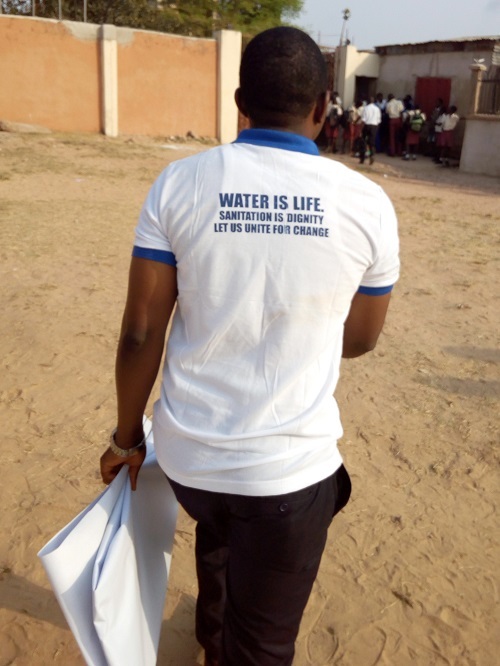 The reason for the campaign in relation to UN World Water Day was thoroughly expantiated. 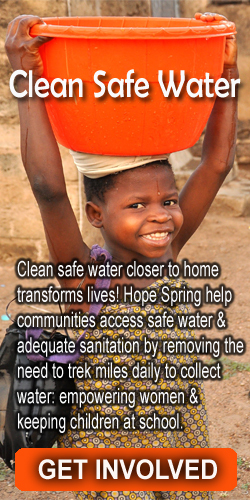 Other cogent topics introduced include the importance of clean water, sanitation and good hygiene, and the problems of unclean water. 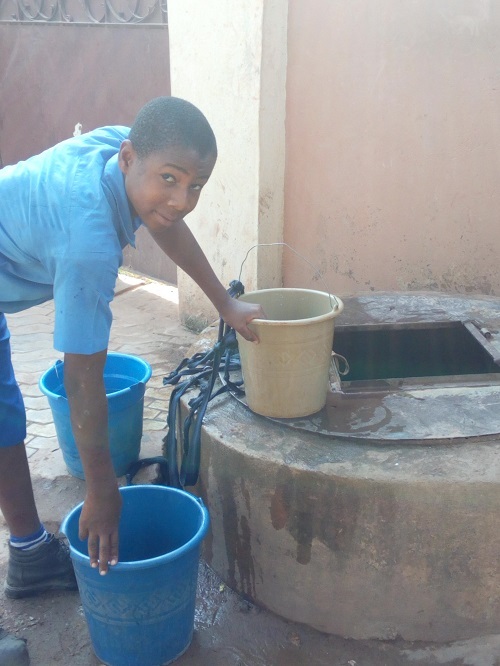 Emphasis was on inculcating in the participants the habit of good hygiene and sanitation as well as the importance of WASH programmes, and the need to uphold and sustain it. 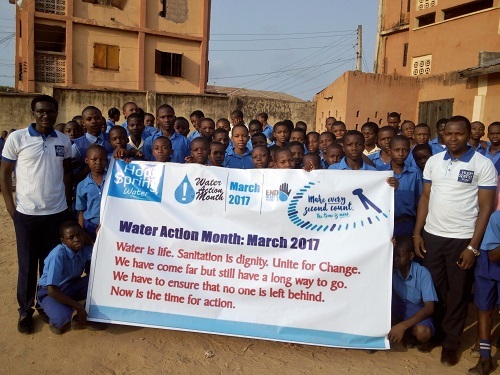 The programme was flagged off in Enugu on 6th March, 2017, at the premises of Queens comprehensive Schools, with over 300 participants, comprising of students and teachers of Kings Comprehensive Schools and Queens Comprehensive Schools. 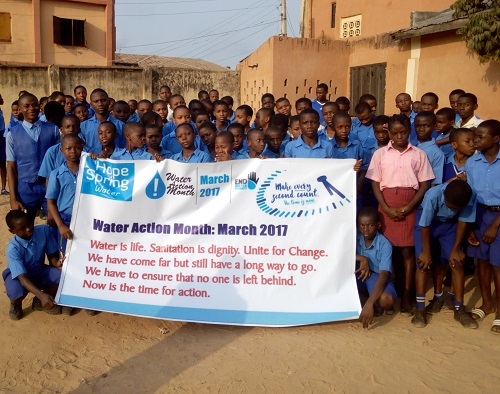 On 9th March, 2017, the programme took place at John Igwesi Memorial Grammer Schools, Emene, with over 280 participants, comprising of the pupils, students and teachers of John Igwesi Memorial Grammer School. Participants showed keen interest in the programme and appreciated Hopespring for the opportunity to participate in the programme, and consequently advocated continuity of the programme, as lack of access to clean water especially during dry season has been like a thorn in the flesh of the people of Enugu State.